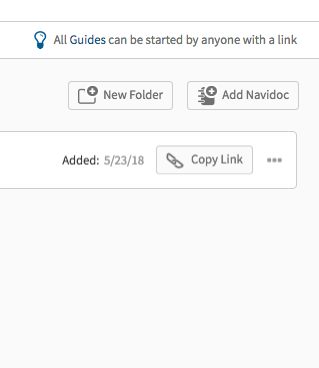 You can add Navidocs to your build project by clicking ‘Add Navidoc’ on the right side of your screen. You will be able to select from the available Navidocs in your account. You can also chose to add a ‘New Folder’ to keep the project organized.